After leaving Lone Pine, a photographer friend and I followed 136 south past Owens Lake – a vast dry lake bed lying between the Inyo Mountains to the east, and the Sierras to the west. Stopping to tour the small town of Keeler, we shot a few photos of older buildings, then continued on our way to the junction with 190. From there, we made our way east, stopping numerous times to photograph the landscape, building ruins, and quite a few rocks (one of my favourite subjects). Deciding to knock off early, we spent the night at the small RV park and campground at Panamint Springs. Once again, we were the only campers, but just before dusk, a lone motorcyclist pulled in to set up his tent. It was a cool but tolerable night. Splurging on an RV spot, we spent the evening recharging batteries for cameras and other gear, and used the wifi connection to catch up on email to those back home. In the morning, I filled the tank on the van, then turned us south onto Panamint Valley Road. At the Trona-Wildrose Road junction, we turned northeast and began the slow climb into the Panamint Range where the highest peaks in Death Valley are located. I’ve decided to spare you my collection of rock photos and limit this post to the main highlight of our small foray into the Death Valley region. At around 6,800 feet, the Wildrose charcoal kilns are considered to be the best preserved of their kind in the western states. No doubt, their survival probably has a lot to do with their remote location. They are accessible by car as the road is paved most of the way up, but turns to somewhat bumpy gravel a couple of miles before arriving at the parking lot. 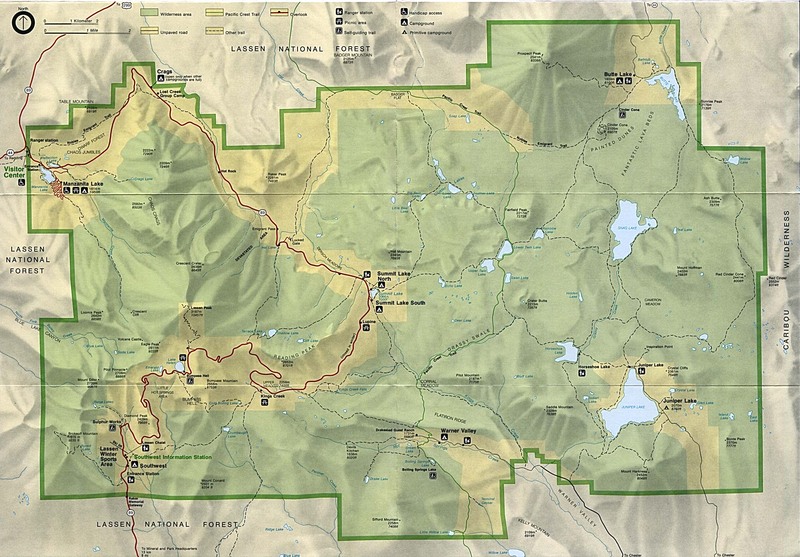 From that point onwards, it’s recommended that only higher clearance vehicles should attempt the road on up to the Thorndike and Mahogany Flat campgrounds, and the trail head for Telescope Peak (elev. 11,049 ft). We did drive up to Thorndike (7,400 feet) to take a look around at the campsites, but decided that it was too cold and windy on that day, so spent the night down at the Wildrose campground (4,100 feet). Although I’d seen photographs of these kilns, I must admit that, as they came into view, I was entirely blown away by their size, shape and state of preservation. Regardless of how one may feel about their significance as industrial artifacts, they are really quite beautiful in a very organic sense – seeming almost like over-sized bee skeps set within a wash of sage and rabbitbrush. Ten in number, they sit arrayed equidistant in a line between the road and the base of the mountain slope. They are made of local rock which has been mortared together. Remnants of the lime kiln, used to make cement for the mortar, may be found a short distance behind the charcoal kilns. I spent a good hour shooting many photos of the exterior and interior of the kilns from many angles, all the while marveling over the incredible precision of the workmanship. The interpretive signage in the parking lot states that the kilns were designed by Swiss engineers and built by Chinese laborers. They were constructed in the mid-eighteen-seventies in order to produce charcoal which was then used to fuel the silver-lead bullion smelters operated by the Modoc Consolidated Mining Company, located approximately twenty-five miles west in the Argus range. The kilns are approximately 25 1/2 feet high, and 32 feet in diameter. The walls are about 24 inches thick at the bottom, thinning to 12 inches near the top. There have been two major restorations of the kilns – the first by members of the Civilian Conservation Corps during the 1930s, and the second in the early 1970s, when Navajo masons with expertise in working on ruins, came from Arizona to fully restore the stonework. It took 42 cords of wood to fill each of the ten kilns. After a week of burning and a few more days of cooling, each cord would have produced about 45 to 50 bushels of charcoal – or about 2,000 bushels of charcoal per kiln. The charcoal was then moved by wagon by the Cerro Gordo Freighting Company owned by Remi Nadeau. Just a bit of trivia, but from a 2004 newsletter of the Historical Society of the Upper Mojave Desert, I found that Remi Nadeau was a French-Canadian, born in Quebec in 1821. After working in the eastern U.S., he traveled west in 1860 in an attempt to cash in on the gold rush. He started up his Cerro Gordo Freighting Company and became one of the principal operators in eastern California, one reference stating that he operated 80 freight teams. I’ve always found it interesting how much people got around the continent in spite of the slowness of travel in those days. According to this page from the Remote Nevada website, the ten kilns averaged 3,000 bushels of charcoal per day. This was transported to the above-mentioned Modoc Consolidated Mining Company smelters owned by George Hearst, father of the newspaper mogul, William Randolph Hearst. At the smelters, the charcoal was used to fire furnaces to produce silver-lead bullion. The kilns appear to have been active between 1876 and 1879, at which time the mines began to run out and became unprofitable. It barely needs to be stated that it required a massive supply of wood to produce charcoal for the mines. It took a team of about 40 woodcutters to keep the kilns supplied with pinyon pine and juniper, cut and carried or skidded from the surrounding area. Talk about environmental impact. It never ceases to amaze what lengths mankind will go to when there’s a buck to be made. Well, enough about the history. As artifacts, the kilns are beautiful structures. There’s something about them that seems almost monastic. It might be the vaulted ceilings and the acoustics when one is standing inside. It could be the way the golden desert sunlight glows in the arched doorways and the single high opening to the back. It could also have much to do with the secluded location. Somehow, it’s difficult to imagine them jammed full of smouldering pinyon logs. When active, it must have been a busy place, with people loading and unloading wood and charcoal. Now, there is just the sound of wind circulating through the kilns and the occasional echo of a voice or footstep. I must admit to being a somewhat surprised at how little time the visitors who trickled in and out would spend examining the kilns. Most drove up, snapped a few photos of themselves by the front door of a couple of domes closest to the parking lot, jumped back in their vehicles and drove away. While several groups came and went, I wandered slowly in and out of each kiln, examining the workmanship, finding many wonderful stones laid in the mortar, and thoroughly fascinated at how often the air vents along the bottom lined up with a vent on the opposite side of the dome. I have no idea if the pointed stones protruding near the peaks of the domes have any practical purpose, but they add just a touch of whimsy to the overall appearance. Death Valley National Park Service interpreters have sometimes given as an explanation that the early 1900s mining town of Skidoo, California required that a water line be dug from the source of water on Telescope Peak to the town – a distance of 23 miles. Most thought it would be easy, but the immensely hard rock along the course made it very difficult; it was eventually accomplished by a determined engineer. The term “23 Skidoo” was then used as a statement of irony, something like “duck soup”: a reference to something ‘apparently easy,’ but actually very difficult. Whatever, the view down Wildrose Canyon with the Panamint Range beyond is really pretty stunning. Skidoo Pipeline through Wildrose Canyon with the Panamint Range beyond. As mentioned in past posts, this autumn’s trip route had to be adjusted almost daily due to rapidly changing weather conditions. My plan had been to spend time closer to the coast early in the trip, then move eastward at the end. However, as the days and miles rolled by, we ended up moving ever east and southward. I would get up each morning, check out the current weather around me, read the weather forecasts emailed to the blackberry by my brother back in Canada, and then map out the next move while munching on breakfast. After a time, it began to feel like a strategic game – as though California was an enormous chessboard of sun and clouds, blasted by roving storm systems. If I moved here, it was likely that I’d be clobbered by rain. If I moved there, strong winds out of the north might dump snow on me. The trip route became entirely improvisational, often wandering off over some mountain range or down some highway I’d never even considered before breakfast. The trip over Mount Lassen became one of the many route modifications on my journey. Twice in past years, I’d intended to visit Lassen, only to be thwarted by early snows blocking off the main road through the park. On this year’s trip, Lassen seemed to be among the few areas with stable weather so it was simply a seize-the-moment decision to go. Under clear skies, we followed Route 89 as it entered the park boundary to begin the winding ascent over the summit. Being both driver and trip documentarian, I didn’t take many photos along this route. If you’ve driven through Lassen, it’s likely you’ll know why. A narrow highway, occasionally topped with patches of icy melt, winds ever upwards, while the often narrow shoulder dives abruptly several hundreds of feet down screes unbroken by trees or any other solid objects. For the acrophobic (such as myself), concentrating on keeping the van on firm pavement occupied most of my time. Clicking while driving, even at a snail’s pace, was not a temptation. Fortunately, there were turnouts from which to photograph the several beautiful lakes along the route. Emerald Lake was, true to its name, a wonderful translucent green, reflecting even the most minute patches of snow from the slope beyond (top photo – click on all photos for larger views). Similarly, Lake Helen (above), and Manzanita Lake (also above) provided “post card” opportunities for shots – the kind of thing I suppose we come to expect in a national park. However, for me, it’s the smaller places or objects that tend to capture my attention. Maybe it’s just that I’m used to landscapes where a White Pine is often the tallest point in view. Or, perhaps it’s that I tend to spend a lot of time looking down at my feet, focusing on insects and other tiny beings. I took greatest delight in watching mysterious eddies form, disappear, and then reform across the surface of the swift, crystal waters of Hat Creek (above), or measuring a massive corn-cob-like conifer cone against my shoe. We camped at two sites within Lassen – at Manzanita Lake, near the northeast park boundary – and then at Butte Lake, which is accessed from a road leading south into the park from Route 44. At Butte Lake, it seemed that we might be the sole campers, until late in the evening when a car pulled in and someone pitched a tent well-removed from our site. The campground is sheltered by a towering Ponderosa Pines. The sound of the breeze through their needles was unbroken by human-generated noise. There are lava flows – massive jumbles of black rock pressing against the forest and a large tongue extending into the lake (click on photo below to see an area of the flow in the background). I would have liked to hike the trail leading to the Painted Dunes, but dogs cannot be taken on the park’s trail system (see this visitor’s account and photos of the dunes and nearby cinder cone). Instead, we settled on wandering around nearby the campground where we came upon one of the largest and most beautiful Ponderosa pines that I’ve yet seen while traveling in the west. I wish I’d thought enough to have Sage and Sabrina sit in front of it for scale, but take my word – it was quite a tree (see below). The next morning, leaving Butte Lake, we traveled east to Susanville, and then south down the eastern side of the Sierras. More about that soon.